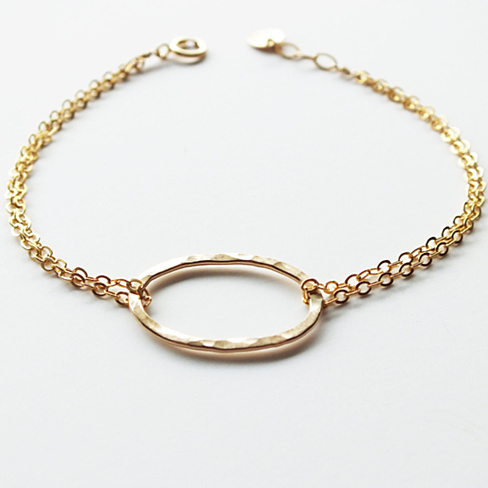 A hammered gold filled oval linked to doubled gold filled chain. This piece is simple and elegant. It is available in three sizes.Also available with sterling chain.